I was wrong about divine command ethics. God is free to command what is in accordance with his nature, but he is not bound by any particular one of those things. A divine command theory of ethics sees a close connection between God’s will or commands and facts about ethical rightness and wrongness. One of the old objections to a divine command theory was that it allegedly resulted in the view that ethical facts are just arbitrary. God could command incomprehensible torture just as easily as deeds of kindness, and either one would be ethically right. How unbelievable! Yes, it is unbelievable. But as is fairly well-known, this is not what a divine command theory entails. The alleged problem of arbitrariness has been dealt with numerous times in the literature and is now widely regarded to be dead in the water. If God is essentially loving and God loves (non-moral) goodness: happiness, peace, fairness and so on, then these non moral facts explain why a divine command theory does not lead to the implausible conclusion that morality is really arbitrary because God could command just any old thing. God has good reasons for commanding as God does, but as I said back in April 2007, this does not remove ultimate moral authority from God, pushing it instead back to those moral facts. However, there’s a point I have not made in the past, because I was wrong about something here. For some time as a divine command theorist, I held that God’s loving and (non-morally) good nature dictated that he desire and command certain things. That is, given that God is loving and good, there is a list of things that God will command and prohibit. Now, there’s truth to this – there really are some actions that I’m certain that a loving and good God definitely would prohibit (torturing people to death), and some things that this God would definitely desire (that we feed our children, assuming we can do so). But the view I took was much too wooden, to the point where once you knew what God was like and also the facts of the natural world (e.g. what effect arsenic has on people, what causes or relieves pain and so on), you would know what God would command, because it could be predicted by these facts, provided one was knowledgeable enough to have them all. There’s a sense in which this eats into the notion that God is genuinely free to command as he will. In any instance God is virtually “bound” to command one thing rather than any other. This outlook of mine was simply mistaken. I spoke – rightly, I still think – of God’s character being a player in morality, but I had not really appreciated the nuance of what was being said by, for example, Edward Wierenga when he said that “a divine command theorist might well believe that some features of God’s character, for example, that He is essentially loving, place constraints on what He commands.”1 I said to myself – God is loving, which is what results in him commanding what he does, and I read statements like this one, and I assumed – quite incorrectly – that they basically meant the same thing. But Wierenga’s formulation allows for divine freedom in a way that mine did not. To say that what God commands or prohibits is constrained, but not controlled, by God’s nature and God’s knowledge of the facts, is able to take account of the fact that much of what God loves has the property of multiple realisability. That is, there is more than one way to bring about what God desires. God’s nature and knowledge do not nail down one and only one command that he can give for any given scenario, they merely constrain what God will command; they filter out whatever is incompatible with those things. If this was said to me all along, I would have nodded my head as it would have made sense, but or some reason I continued to talk in terms of non-moral facts predictably result in specific divine commands. And that was wrong. Never let it be said that I can’t admit (at least some of) my mistakes. Previous Previous post: Episode 044: What is Faith? Can you give a specific example of a scenario where what God wants is multiply realisable and thus where He might command or prohibit other than He does? Does this, then, have consequences for the OT “texts of terror”? Is God good because he has certain moral properties, or are those properties good because God has them? It seems the answer provided in the OP is to say that certain properties (loving, justice, etc) are good, and to paraphrase his paper, “doing all the work in our theory of value”. He further claims that it would be hard to see why those properties would be any less wonderful or good, if per impossible, a God did not exist that possessed them. d, those properties are doing no moral work at all, since they are not moral properties. Richard, to use a really simple example: If God wants me to express love for a person, there are many different things that God could command that would all realise that desire God has. I doubt that I need to put list of such possible commands here. I really appreciated your willingness to reevaluate your position. In my opinion, it shows intellectual honesty and a realization of our own finite perspectives and a propensity for error sometimes. It was nice to see. Thanks! What is the primary motivation for saying that God ought to have a multiplum of choices in what to decree? Just out of curiosity, what do you mean by (non-moral) goodness? Do I understand correctly that what you have realized is that there can be commands issued by God that were not flowing necessarily out of his loving nature, i.e. nothing in God’s nature necessarily required Him to issue this or that particular command in all its details? Am I also right to think that this in no way undermines your commitment as divine command theorist to the idea that all of God’s commands must necessarily be consistent with his loving nature? Thanks for your outstanding work! Actually on the Adam’s/Craig view which Moriston criticises those properties are good because they resemble God. It seems the answer provided in the OP is to say that certain properties (loving, justice, etc) are good, and to paraphrase his paper, “doing all the work in our theory of value”. That seems mistaken, love and justice as Adams uses the term is a thick descriptive term, so it fills out the descriptive content of our theory of value but there is more to value than just descriptive content, there as also an evaluative content. Moreover, for Adam’s and Craig goodness also includes such things as Beauty and broader excellence which goes beyond merely the descriptive content of love and justice. He further claims that it would be hard to see why those properties would be any less wonderful or good, if per impossible, a God did not exist that possessed them. Its unclear what follows from this, if per impossible all the properties of H20 existed in diamonds then water would not be H20 what follows from that not much. Similarly if all God’s properties were the properties of something else then God would not be identical with goodness, but this does not tell us much about what identity relations hold in reality. I myself don’t endorse Adams/Craigs position but its not clear to me Moriston’s criticism of it work. Also as an anti platonist Craig does not accept that properties like justice exist, what exists are people who are just. But properties by themselves are fictional entities. Whew! I’ve been busy over the last couple of days and unable to comment. I agree with Matt’s comments above, but I do think I part ways with Adams (I’ll know this more certainly when I’ve finished reading his book). He believes that God has moral goodness, but given my take on what moral goodness is, I think it’s best not to say that God is morally good. Leonhard, I think it seems fairly intuitive that in many situations there are multiple actions one could take, all of which seem very good and yet not all of which can be required. This suggested rather strongly to me that there must be at least some scenarios where a God who valued goodness would have more than one option as to what he commanded. There also seems to be something distasteful to believers in a sovereign God to have to grant that God might have only one option in what he commands – unless it’s really necessary to grant this. Dima – I think this may address your question as well. Colin, I employ a strictly limited notion of moral goodness. I identify moral goodness with fulfilling one’s moral duty. If God wants me to express love for a person, there are many different things that God could command that would all realise that desire God has. I doubt that I need to put list of such possible commands here. IMHO, there is a fundamental disconnect between the NT (sublime) and the OT (ridiculous). I don’t think the OT is the inspired Word of God – far from it – and I don’t think Jesus thought so, either. Richard, I understand the issue of not liking the Old Testament God, and I understood your previous question about multiple realisability, but I’m afraid I just can’t fathom the connection between the two. All the Law and the Prophets hang on these two commandments? I’m afraid I just can’t fathom the connection between the two! Richard, criminal punishment wasn’t intended as an expression of love for the offender. So you wouldn’t express love by doing that. Richard, I would say love for God. But I really don’t understand why we’re going down this path. So the arguments for why we need God as a source of objective morality don’t also apply to things like aesthetics? I would have thought aesthetics were even more subjective, beauty in the eye of the beholder and all that? If aesthetics is objective, then there may well be a parallel to the moral argument here. The above question seems to be written as though you might have thought there is an argument from aesthetics to God. Well, if that’s the case, then there’s no parallel between the moral argument and an aesthetic argument. For what it’s worth, however, I doubt that beauty in general really is subjective and merely in the eye of the beholder. That’s not really borne out by human experience. My point was just that any sort of goodness that isn’t about doing your duty is non-moral goodness. If you believe that there is such a thing as beauty, then that would be an example of such non-moral goodness. That is to say, you believe that we can trust God to define the property of moral goodness, because he is constrained by posessing the property of non-moral goodness. Which implies that non-moral goodness is ‘uber-objective’, not even needing God to define it. You provided aesthetic goodness as an example of a property God posesses, rather than defines. – that you consider aesthetic goodness to be uber-objective, more objective than God-defined moral goodness, not even needing God to define it. To the second I marvel that you think aesthetics are that objective. I was led to believe that the ‘ideal beautiful woman’ has changed dramatically over the centuries? Even currently different geographical areas would paint a widely differnet picture. Colin, I wouldn’t say that God does anything to define non-moral goodness. God is the standard of non-moral goodness, in the sense that if anything else has non-moral goodness, it has that property in virtue of being like God. Non-moral goodness is a kind of god-likeness. This is different from morality, which God does something to bring about. As for the separate issue of aesthetics: Whether or not beauty is just completely subjective, I don’t think that trends about the kind of woman people find most attractive settle the issue. That really just glances off the surface of the issue – which is sufficiently large that no comment in this box could really do it any justice. Then you’ve done nothing to address the complaint of arbitrariness. We have no less guarantee that God will not command something we believe to be morally bad, than that God’s nature might not be good in every way that we expect. Colin, I’m afraid you’ll need to unpack that a bit more clearly. What I’ve said is that morality is all about doing what God commands. I’ve certainly not said that God wouldn’t command something that we (previously) thought was immoral. There’s no issue of arbitrariness here, since God does have reasons for the commands he gives – but those reasons are not themselves grounded in morality. Glenn, I’m a neo-Marcionite, that’s all. I didn’t mean for us to wander this far off-topic. My point is that for the accusations of arbitrariness not to stick, God’s reasons for the commands he gives, need to not just not be grounded in morality, they need to not be grounded in God. But you seem to be trying to refute the arbitrariness objection by appealing to other inscrutable stuff that for all we know God could make up or alter at will. If I am appealing to non-moral goodness, then how could God change it at will? If God is the standard, then all God needs to do to change it is to change himself, or to exhibit a form of goodness that doesn’t meet our approval. Colin, that might be a problem for some types of theism. But it is certainly not a problem for Classical theism – including traditional Christian theism – where God’s nature and character are unchanging. It appears to me that when theists discuss the ethics of God they don’t realize they are merely discussing the ethics of the ideal person, of a person inside their head who doesn’t exist outside the imagination. It’s like a bunch of single women discussing the ideal husband or a bunch of single men discussing the ideal wife convinced that such a person exists and they’ll hook up with them one day if they have enough faith, persistence, and good fortune. Powell, in other words, theists don’t realise that God doesn’t exist? Seriously though, that wasn’t exactly a useful contribution. Sorry I didn’t mean for you to get hung up on the idea of God ‘changing’ his character, that’s why I tried to also state the same thing in non-changing language. The point is not whether God’s character or the things he will command are changeable, they don’t have to be changeable to be arbitrary. The point is, you can’t shake off the accusation that God’s choices are arbitrary, by pointing out that God’s choices are constrained by his character, which, to us, is no less arbitrary. For God’s choices to not be arbitrary in that sense, God would need to be held to a higher standard. And of course there isn’t one. I guess I don’t see how a person’s nature can be the kind of thing that is “arbitrary.” Actions, commands, decisions, these can be arbitrary. But a character? Or an object in the broad sense? Those words don’t seem to me to go together. You command for reasons, or for no reasons (i.e. arbitrarily). But being a certain way with certain reasons in mind – or in the absence of reasons? No, that’s a mismatch. or at any rate, there’s no comparison to be made there with how commands can be arbitrary (or not). You really must end up saying that God’s nature could be different, and that’s why he’s being arbitrary by being the sort of person that God is, because he has to reason to go about existing that way. But do you really want to say that? It just seems to amount to the claim that classical theism (wherein God has his nature necessarily) is false. Seriously, you don’t think an object can be arbitrary? Logicians consider arbitrary objects all the time. An arbitrary object is one which you don’t assert specific properties about. So, God’s character can’t be arbitrary to himself, but it is arbitrary to us to the extent that we don’t know what his character is. And so from our perspective that would result in arbitrary moral choices. Sure God has his nature necessarily, but that doesn’t stop his moral choices from being arbitrary to us. 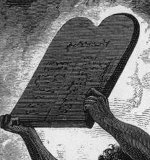 It seems to me as though people who complain that God’s moral commands are arbitrary, would only be satisfied if God was being held to some higher standard they approved of. That’s why their examples are situations where God might command something they personally consider to be amoral. If something is not actually arbitrary, then what does it matter if it ‘seems’ arbitrary? Because arbitrariness is subjective. If I tell you to ‘pick a card, any card’ and you look at the card, then to you it is a very specific card, but to me it is an arbitrary card. It is a specific card to both parties–otherwise everyone would love to play colin poker! That’s great Basil, except that you’re using all the words wrong. An arbitrary card isn’t one that has no value, just one whose value is not known. Hence it is subjective. ? ? [ahr-bi-trer-ee] Show IPA adjective, noun, plural -trar·ies. subject to individual will or judgment without restriction; contingent solely upon one’s discretion: an arbitrary decision. decided by a judge or arbiter rather than by a law or statute. having unlimited power; uncontrolled or unrestricted by law; despotic; tyrannical: an arbitrary government. capricious; unreasonable; unsupported: an arbitrary demand for payment. Mathematics. undetermined; not assigned a specific value: an arbitrary constant. Colin, thanks for posting those definitions. Hopefully you see what I was getting at about objects (like God) being arbitrary now. The first four are all about actually or potentially doing things for no reason, and the last is a mathematical term. But a being with necessary traits is not thereby arbitrary in any of those senses. If you can cobble together a sense in which necessary facts are “arbitrary” (and I say good luck with that), it will be a sense of “arbitrary” that has nothing at all to do with the concern that moral duties might be arbitrary if they are grounded in God’s will, and as such it won’t be important for this issue. Yes, yes it does. One person can know the value, and the other person can not know the value – ta-daaa, subjectivity! Basically your argument is that God’s choices aren’t arbitrary because they’re limited by his nature, But this falls under “contingent solely upon one’s discretion” and, to an outside observer, doesn’t make the choices any less arbitrary. So the only way God’s moral commands could be non-arbitrary is if you knew his character. Just the knowledge that God has a character (but not what it is) isn’t enough to make his choices non-arbitrary. Colin, how does that make sense? God’s nature could only be contingent solely on God’s discretion (that is, God’s personal decision) if God decided what God would be like. But who believes that? Secondly, it also seems to clearly not follow that “the only way God’s moral commands could be non-arbitrary is if you knew his character.” This seems quite wrong. Whether or not we know God’s character has nothing to do with anything here. That’s not really what I was saying. I’m saying that God’s choices are contingent on God’s nature/discretion. It has everything to do with everything. Arbitrariness is subjective. Therefore a choice God makes is arbitrary to us to the extent that we don’t know why he made the choice. It looks like the ol’ ontology/epistemology situation. Sure, but ontologically nothing is truly arbitrary, which is why the word only makes sense in an epistemological sense. sooo… your existence is necessary, and you have your personality necessarily, and your height and stuff like that? Colin: Yeah I know that’s what you’re saying, but discretion just is a matter of personal decision. So you have to be saying that God’s nature is a matter of his decision (otherwise it couldn’t be arbitrary). No, arbitrariness is objective. Either commands are issued for reasons, or they are issued without reasons. It’s not a subjective thing. Our not knowing what the reason was might make it appear arbitrary, but it doesn’t make it arbitrary. Further, even if I granted the idea that thoughts make the world the way it is (something I don’t grant), you would at least have to grant that God would know whether or not he had reasons, so at least somebody knows. So here’s where we are so far: God’s commands are not arbitrary if they are given for reasons (whether we know those reasons or not). God’s nature isn’t arbitrary in any obvious way since it’s not even a matter of choice, let alone a choice without reasons. And even if things were very different, and you had offered grounds for thinking that we should call God’s nature “arbitrary” (someone I clearly do not grant, and for which no clear grounds have been given as far as I can see), that still would not make ethics arbitrary, since the very point of this blog post was to explain that God’s nature does not require God to command certain things, it constrains him and effectively prevents him from commanding certain things. No, I’m saying that if God is a black box, then to an outside observer, his discretion and his nature are indistinguishable. Every effect has a cause, or to put it another way every action has a reason. So what use is your objective notion of arbitrariness. When people complain that God’s moral commands are arbitrary, they surely mean ‘they appear arbitrary to me’. Yes it would. If you’re using God’s nature as the reason why God’s commands aren’t arbitrary, then if God’s nature was arbitrary, then your argument fails. In fact the real point of your original post betrays you, that even if God’s nature was not arbitrary, he could still make arbitrary commands. In terms of man’s freedom, from God’s perspective we are determined,but from man’s perspective–since we don’t know what the future holds–it is subjective. Would your believes be in-line with the statement above? (as a disclaimer I do not hold to the above). Colin, I just can’t see any reason to assume that to an observer, God’s nature and discretion are the same thing. I think you are now onto something when you point out that it is actually just people’s ignorance that might prompt a person to say that God’s commands are arbitrary (and so even though those commands are not arbitrary, people might say “they appear arbitrary to me”). This of course poses absolutely no problem for my position. people can be wrong about many, many things. This brings us closer to agreement: We agree that people can quite mistakenly assume that a decision is arbitrary, when really they just don’t know why it was issued. If they did, they would come to understand that they were wrong, and the command is not arbitrary after all. Now of course, within a context where we believe that God has actually revealed his character, even the claim that we don’t know what God’s character is like isn’t going to stick. So even though the ontological claim about arbitrariness was already groundless, the epistemological claim now falls apart too (unless we assume that Christian revelation about God is actually false). Basil, you’re statement is confusing because you seem to think determined and subjective are opposites. But yes, I’m not an open theist. But the fact is that we only know someone else’s character by their actions, so it is impossible for us to determine conclusively if they are acting in a way that their character compells them, or if they are acting entirely at their discretion. To be fair to these people, if they’re using the term ‘arbitrary’ in a subjective way (which I still maintain is the only sensible way to use it) then they’re not wrong. Exactly. The only hope for people who believe that God’s commands are arbitrary is if they actually get to know God and find out what He’s like and learn to trust him. Yes, because arbitrariness isn’t an ontological concept. – Appealing to God’s character as evidence that God’s actions aren’t arbitrary is of no value empirically since we can only observe God’s character by his actions. – Just as God defines morality by what he commands, he defines non moral goodness by what he is. So philosophically it makes no sense to defend one on the basis of the other, you’re just pushing the problem back a step. OK, well then sure, I would say that from God’s perspective we’re constrained to the future that he already knows, but from our perspective we experience freedom to choose. Well, arbitrariness is very clearly not a subjective matter. Either things are done for reasons, or for no reasons. That’s objective. What you’re talking about is whether people have complete knowledge about whether something is objective or not. That is worth talking about, but that is not arbitrariness itself. You grant that there’s such a difference, so you should grant that arbitrariness is not a subjective matter. I think that’s as clear as anything can be. And I really think your point misses the mark. Try to see why the arbitrariness objection arises. This is what the objection is: If morality were grounded in divine commands, then it would be arbitrary. the objection is not: God’s actual commands seems to crazy or awful to me that I judge those commands to be arbitrary. That is the objection that you seem to be running with, but that is not the arbitrariness objection. The arbitrariness objection is an if/then claim, and it is in fact a false if/then claim. The consequence does not follow, because in fact morality can be grounded in commands that are not arbitrary if there are reasons for those commands. It’s vital to see that the if/then claim is a claim about logical entailment. Therefore if the consequent does not actually follow, the claim is false and that is that. It is therefore totally irrelevant that “we can only observe God’s character by his actions.” That’s a different kind of complaint, namely that God in fact is nasty, and may well have malevolent motivations for his atrocious commands. Is that the argument you actually want to make? If so, you need to stop dragging in the terminology of the arbitrariness objection and talk instead about the problem of divine evil or something. You’ve also yet to offer an account of how God “defines” goodness by being what he is. I can understand how God can define morality by doing something. But how do you define anything by doing, well, nothing? It’s all very well to just say that this point still stands, but you never answered this question, so if it does stand, you’ll need to explain how. The idea that morality would be arbitrarry is only a problem because the arbitrariness could then lead to abhorent morality. Without that corrollary what’s so bad about arbitrary morality? But surely one also have to show that the reasons for the commands (and the way they result in the action ) are not in themselves arbitrary. Most conditional claims would be logically invalid if you didn’t allow the inclusion of implicit axioms. Not that he _is_ nasty, but that he is an arbitrary candidate from the range of all possible Gods, like the X in mathematics, which is an arbitrary number until we solve for X. Or non-moral goodness is defined as being like God. If you ask me to define “cow” and I bring a cow into the room, the cow is defining “cow”, while doing nothing. Colin, I didn’t “miss” it, but your effect/cause comments just don’t add anything. is God’ nature even an effect? Is it the way it is because someone made it that way, or did something? Again, it’s just a verbal disconnect. So arbitrariness remains – as always – a completely objective matter. No. All one has to show is that the consequence does not logically follow, and then that’s it. The objection is done, and has to be given up without any further consideration. I think we’re getting nowhere with this, my head is developing a bruise on the forehead, so I’ll leave it. Colin: If you ask me to define “cow” and I bring a cow into the room, the cow is defining “cow”, while doing nothing. – No, you are defining ‘cow’ by showing Glenn an object (a real cow) that answers Glenn’s question. The mere existence of a cow (somewhere out there in a field, chewing cud)doesn’t define ‘cow’ for Glenn. MaxVel, see, that seems obvious to you. And me. We define terms that refer to objects that do nothing. “Define” is a verb, and if something doesn’t do anything, then it doesn’t define anything! Similarly, being the exemplar of goodness is not an act of defining anything. Defining is a semantic thing. Being is not. Why does it have to be a ‘someone’? Any effect with a cause is not objectively arbitrary. So the only thing which has the possibility of being objectively arbitrary is the uncaused causer. Which is why the idea is useless, and arbitrariness only makes sense as a subjective term. On the contrary, I think you’ve come quite far, from when you were originally engaging the spirit of the argument with some notion that God’s nature solved the problem, to now when you seem to be trying to throw out the argument on a formal technicality. Anecdotally that’s also how OJ Simpson won his argument. It does define the concept of a cow quite well, If Glenn’s not there to experience it, that’s really Glenn’s problem. But even though you were wrong about this tangent, it was just a tangent. Let me restate the point in the hopes that you’ll be less confused. Or God is the exemplar of non-moral goodness, and we define it as “whatever God is like”. Colin, that you think my position / approach is now different from what it was, or at least that you are now making comments to insinuate that I no longer believe that an appeal to God’s nature answers the objection from arbitrariness when this isn’t true at all just confirms to me that no progress has been made. Also: God doesn’t make up a definition for non-moral goodness. God is the exemplification of non-moral goodness. It may be a tangent of your own making, but it’s not something I’m “wrong” about. God doesn’t engage in semantic stipulation in order to serve as a the exemplification of non-moral goodness. This has never been a problem. Thus far you haven’t shown how it might be – just as you never showed why God having a nature somehow throws us back into the problem of arbitrariness. I suggest to you, colin, that you have a hard look at how you’re using the word “define.” I think that what you probably really want to say is “Glenn, YOU are defining non-moral goodness as ‘what God is like,’ ” (which would at least make sense, although I think it’s incorrect) but what you’ve kept saying instead is something with a different meaning, namely “Glenn, you think that GOD defines goodness,” which doesn’t sound like anything at all I’ve said, and doesn’t follow from my position. Have a think about which of those you really want to say. I have observed – just as MaxVel observed, and I suggest most people would see without too much trouble, that the latter formulation (the one you have been repeating) really is wide of the mark. Nothing I have said implies that formulation, as I have tried to explain. The objection from arbitrariness is dead in the water. It sets up an if/then scenario where the “then” part of the equation is false, and the objection has now failed. Provided God has any reasons at all for commanding as he does, then those commands would not be arbitrary. End of refutation, that does the job. If God loves goodness, then God would plausibly have such reasons, which is a scenario that illustrates how the arbitrariness objection fails. As I have tried to explain to you, even if you affix the word “arbitrary” to your argument, it is not the arbitrariness objection that I discussed earlier. I now see a tone rearing its head in your comments that I know to be unproductive – The reference to OJ Simpson, the suggestion that because I didn’t agree with you I must somehow be confused – it looks to me like the fact that I haven’t agreed with you is actually getting you annoyed with me and you’re starting to drop insults into your comments, which I am absolutely not interested in. This is not that kind of blog. So I again reiterate – we’re getting nowhere. Take care, Colin, and I am sorry for anything I may have said to fuel that frustration. To be honest, I’ve also sunk a fair bit of time in replying to you, and it’s not wise of me to keep doing so. Yes, God *is* free to do or say or command that which is intrinsically wicked, much as we are. But, at the same time, since God *is* that which is intrinsically morally good, then such action by God would amount to suicide — and to the end of all things, for God is also the existence of all things. My apologies if there’s been a misunderstanding. All that talk about “The arbitrariness objection is an if/then claim, and it is in fact a false if/then claim” led me to think you were ‘pulling an OJ’. And by that of course I’m not accusing you of actual murder or anything. Sure if I’m not allowed to use definition 2, then that’s an acceptable substitute. I’d be genuinely interested to know how this differs from your view. That doesn’t follow. Suppose I am asked to determine the guilt/innocence of a prisoner, and I decide to choose by flipping a coin, so I assign heads = guilty and tails = innocent, then I flip the coin, and it lands on heads so I declare the prisoner guilty. My reason for declaring the prisoner guilty is that the coin landed on heads. So having ‘any reason at all’ surely doesn’t cut it? only to suggest that you seemed to be grasping at technicalities, not that you’re a murderer. Wait, I thought it was you getting annoyed with me – “my head is developing a bruise on the forehead”. Actual insults? Certainly none were intended. Oh, you’ve left. Ok, well you take care too. only when you and MaxVeil were calling me a dummy. If you say so. Sorry for apparently wasting your time. One very short question, Colin: Do you think the outcome of a toin coss gives a person a reason to act? I realise, naturally, that a person is capable of deciding to do something because of the outcome of a coin toss. But I’d like you to tell me whether or not you think it gives them a reason. Thanks. I think that now that we’ve dispensed with the claim that God undertakes the task of defining moral terms, this may be the last issue to resolve. So instead of any lengthy comment, I’ll just leave you with that one question. Great question. I agree that the coin toss is unlikely to ever be the entire and only reason why a person would act. The point of the coin toss story was to illustrate that choices made for a reason could still be arbitrary. So long as you agree that my declaration of guilt for the prisoner had a reason (part of which might be the coin toss) and that my choice was nevertheless arbitrary, then you’ll see my point. You mean non-moral terms right? Colin, the answer to this question is important: Do you think the coin toss does actually give a reason for action? Once you’ve given the anwer to that, your position that a person can genuinely have a reason for action, and yet still be acting arbitrarily may need to be revised, so the question is quite important. I think once you grant that the coin toss by itself cannot provide a reason, the door will be open for you to see why actions done for reasons are not arbitrary. So suppose that the person knows of no other considerations that would give a reason for action. None at all. Now, does the coin toss actually give a reason for issuing a command? I thought I gave an answer to your question. Well that wasn’t the scenairo I described, and the coin toss was only a part of my reason for acting. Not at all, in the absence of my decision to base my action on a coin toss. I decided to base my decision on a coin toss, which then turned up heads. I now put this to you, because I think it will lead us closer to agreement: Do you think it’s possible, Colin, for a person to be mistaken about whether or not they really do have a reason to do something? If that’s how you define ‘reason’ then it looks like you might win this argument while losing the one back home. But sure, I think it’s possible for a person to be mistaken about whether or not they really do have a [legitimate justification] to do something. Colin, I didn’t say legitimate justification. I think a person can have actual reasons that do not justify (e.g. I might go into someone’s house because I want to murder them). I don’t accept you substitution of terms, so I’ll pose the question in the original terms in the hope that you’ll answer: Can a person be mistaken about whether or not they have a reason to do something? I really want to answer your question too, but I think that what you mean by ‘reason’ is critical to the question. That’s why I’m trying to nail that down, I wasn’t trying to pull a sneaky switcheroo. If by ‘reason’ you meant something that caused an event to occur, then everything has a reason, so the answer would be no. At the other end of the spectrum we’ve already ruled out ‘legitimate justification’, for which the answer would be yes. If I said I wanted to buy a lotto ticket, to improve my financial situation, do I have a reason? Another minor clarification – would you say that what you’re really interested in is whether someone can be mistaken about believing they have a reason when they actually don’t? Because the question the way you’ve stated it also asks whether someone can believe they don’t have a reason when they actually do – to which I would say ‘yes’ so technically your answer is ‘yes’, but I’m thinking you really want an answer to the other part of the question? Colin, no, I do not mean “something that caused an event to occur.” That is a cause. I am talking about reasons – things that people have in their minds that count as considerations in favour of decisions. And yes, a person who buys a lotto ticket because he thinks it might improve his financial situation and he wants that, does indeed have a reason to buy. Having a reason does not just mean being caused. Having a reason means having grounds. So I don’t see how I’m losing an argument “back home.” On the contrary, I think you’ve moved considerably towards the position I am advocating, and with a bit more persuasion you might make it all the way! So when you say “Provided God has any [legitimate justification] at all for commanding as he does, then those commands would not be arbitrary” I take it that if you think that a reason is a consideration that counts in favour of a decision, then you now agree with me: If God has reasons for commanding as he does, then his commands are not arbitrary. You made it! Strange. I didn’t get the email notification of your last reply until today. You define an arbitrary decision as one without reasons. By ‘reasons’ you don’t mean material causes or independently verifiable justifications, you mean things that people have in their minds. Then by those definitions, I agree that God’s moral choices are not arbitrary if he has reasons for those choices. But there is no possible way (since reasons and decisions both occur in the inscrutable mind) for any person to determine if the decisions of another are arbitrary or not. If we take it on faith that “God has his reasons” then based on your definition of arbitrariness (which I still maintain isn’t the only, or default one) then certainly I agree that God’s decisions are not arbitrary, including his decisions to command morality. However I don’t think “God has his reasons” answers the intent of what people who raise the arbitrariness objection are really after. If it were me, I’d want to know what those reasons were, and see them evaluated against some independent standard. If God has his reasons, but they’re completely inscrutable and undetectable then from my perspective this is functionally no different than if he had no reasons at all. Sorry Colin – I edited the spelling in this post last night (I can only assume that’s what prompted the notification? If not, pass, this is an old conversation). Fortunately (as I really hope has been amply clarified by now) God’s reasons – if I’m right at least – are often not inscrutable (double negative ftw), since we already think we know what love, goodness etc is like. But I think on the relevant issues here you’ve now reached basic agreement with me. only because God has revealed it to us. So it’s all kind of circular. Yep. based on your definition of ‘arbitrary’ I would agree that God’s moral commands aren’t arbitrary, but not in a way that would be useful to the one typically raising the objection. But that’s their problem I guess. “only because God has revealed it to us. So it’s all kind of circular.” Well no. The claim is not that God has specially spoken to us and told us what goodness is like. Just by being what we are we recognise kindness, goodness, beauty etc when we see it. Right, because God has created us a certain way to recognize certain things as good or beautiful. God could have created a universe in which these were defined differently. This is to assume that beauty, for example, is not objective. But remember – if God is the exemplar of goodness and beauty then this is obviously not the case. It seems like our most basic disagreement is over whether God could choose for his nature to be other than what it is.